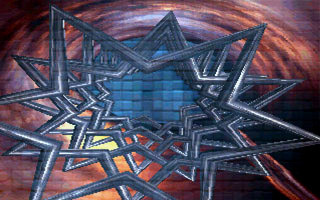 The demo was created live at the Takeover'98 demoparty and features a bunch of 2D and 3D effects, all rendered in software. The code was thrown together in 5 hours. Most of the time was needed creating the 3D meshes and getting my dusted-up prehistorik 3d engine to work. The music was the first tune in my Kork-music directory, so i timed the demo to it. The demo was created for MS-DOS, but i've added a dosbox config + batchfile so it can be run from different platforms. I was browsing through some old cds today searching for some graphics and i stumbled upon some old sources of some gameboy things i worked on way back (1996-1999). Logic Design was founded in 1994, as a cooperation by Flash, Balance and myself. Back in those days there were very few demo groups in the netherlands, so it didn't take much to get noticed. After a small intro for our BBS (LA Intro), we went on to create our first demo called Prologue which was released at the Bizarre'94 demoparty. While graphics may seem primitive today, mind you this was all done before 3D graphic cards, or even games like Doom were available. In 1995 we were joined by Jace, another talented coder that we already knew before and lived nearby, as well as a new musician called Jenkins. That year we really stepped up our game with productions like the Spring! intro that was released at the X'95 demoparty and the demo Performance at the Bizarre'95 party. Both productions took first place in the competition. Until today, Performance is still my favorite Logic Design demo, as i think it best defines the quality and style of our team during that era. In 1996 we were joined by Amiga legends Danny and Lowlife. This is also the year of our last production, called Fashion. 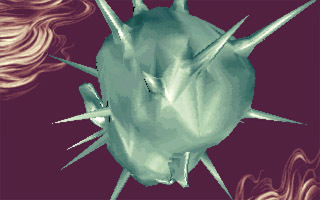 The demo was released at the X'96 demoparty and also won the demo competition. Later that year the group split up and a part of the team joined the PC section of TBL. To this day a still look back with a sense of pride at my Logic Design days. It ha s been a great learning school for us all and helped us in our jobs today in the game and multimedia industry. I still hang out with the other members of the team and we still have anual get-togethers. If you are interested in our work from those days, i've compiled a package with our productions compiled with dosbox and easy-to-run batchfiles. In 1990, i joined forces with a local coder called Flash to boost our coding skills. This resulted in many small games, intro's and demoeffects that we demoed at a local computer store, which also doubled as a meeting place. 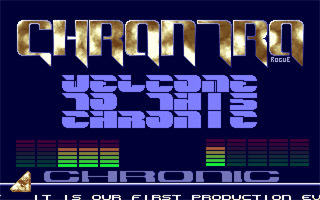 In 1993, we officially formed our first demogroup Chronic and Chrontro was our first and only proper release, before forming Logic Design early 1994. The intro is here purely for historical reasons, so do with it what you like. Cavity is an arcade game for the Meggy Jr RGB (a 8x8 LED based handheld system). You can use the avrdude tool to upload the hex-file. I've included a run168.bat/run328.bat (depending on your amtel chip) that does so using COM4 port. You can adapt the batchfile if you need to use another COM-port. Alternatively, Windows users can also use the excellent ArduinoUploader tool by Vikas Patial that is supplied with this package. Here you can select the hexfile, chipset and com port. 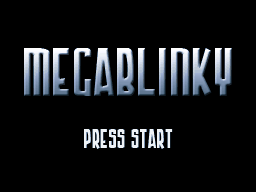 I've also included stand-alone version for Windows systems, that runs in my MeggyJr simulator. 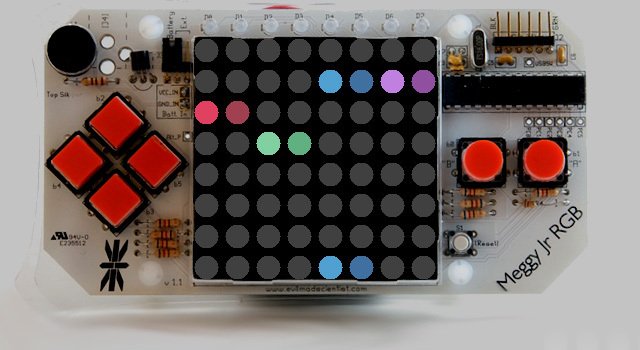 Colorclash is an arcade game for the Meggy Jr RGB (a 8x8 LED based handheld system). 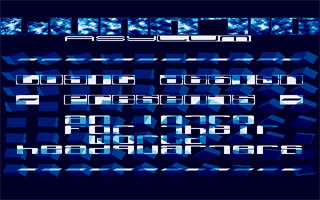 The Trip8/SuperTrip8 demo are demo's for the Chip-8 and SuperChip8 systems. 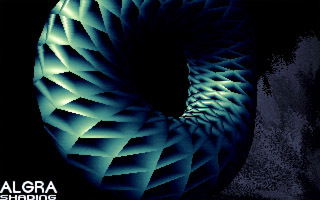 The demo consists of an intro, 3D vectorballs, and 4 randomized dot-effects. 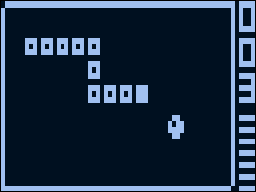 Writing a demo for the original Chip-8 interpreter was a real pain, since your framerate basically drops in half for every sprite you need to draw. 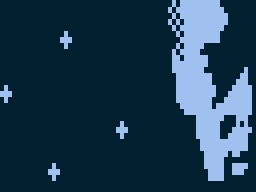 So even clearing and redrawing a few dots will cause the framerate to drop to near zero :) Originally the demo was going to be bigger and there were much more graphical effects programmed/prototyped, but a lot of these effects turned out to be too much for the original unoptimized Chip-8 interpreters to handle. Use the Megachip emulator or any other Chip-8/SuperChip compatible emulator to run the demo. 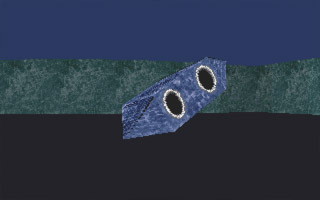 The Climax Slideshow is a slideshow for the SuperChip8 system. It includes 6 different images drawn by a good friend of mine: Menno Seegers. You can download the demo [here] I've adapted the images to work on a monochrome display and added the titlescreen. 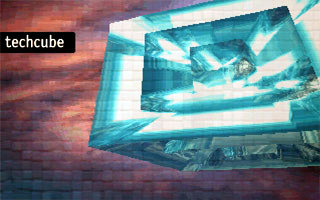 Due to the romsize limitation of 3.5kb, the slideshow is split into two parts. Your goal is to make your way through the asteroids field and dodge the asteroids, scoring points for each asteroid you are able to dodge. Button 2,4,6,8 will move your ship, button 5 will start the game. The CHIP-8 version of the game has been programmed to be compatible with original hardware like the Cosmac VIP and Telmac 1800. Use the Megachip emulator or any other Chip8/SuperChip compatible emulator to run the game(s). 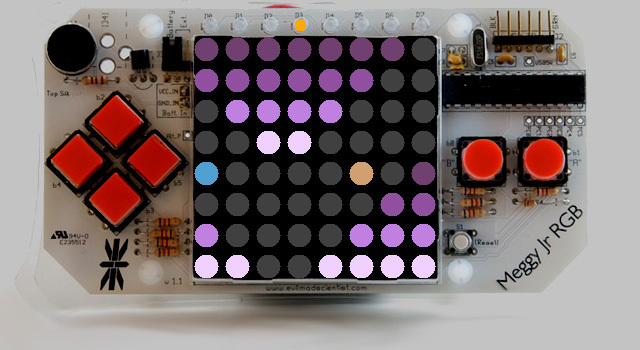 This is the MegaChip conversion of the infamous Blinky game by Hans Christian Egeberg. 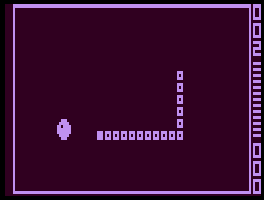 I adapted the CHIP-8/SuperChip version of the game and added a title screen, exclusive to the MegaChip version. 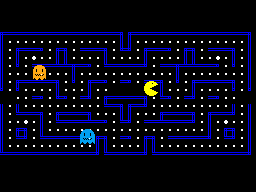 It is written in 100% CHIP-8 Assembler and uses the MegaChip extensions for colorized graphics. Use the Megachip emulator or any other MegaChip8 compatible emulator to run the game(s). This is the first demo i did for the MegaChip8 extension, which features the new MegaChip8 extensions nicely. Basically, it is the classic 'twisterbar' demo effect with background music. It is written in 100% CHIP-8 Assembler and uses the MegaChip8 extensions for colorized graphics and sound. Use the Megachip emulator or any other MegaChip8 compatible emulator to run the demo. This is an updated version of the Worm/SuperWOrm game by R.B. I simply adapted the control scheme for better playability. It is written in 100% CHIP-8 Assembler and uses SuperChip extensions. Use the Megachip emulator or any other Chip8 compatible emulator to run the game(s). I will encourage anyone willing to attempt CHIP-8/SUPERCHIP/MEGACHIP8 development. - MegaChip8 specifications/documentation, full opcode list for CHIP-8/SuperChip/MegaChip8. - CHIP8_BMP.EXE - Convert BMP images to CHIP8-Assembler include data. - CHIP8_WAV.EXE - Convert WAV files to CHIP8-Assembler include data. When developing this emulator, i also focused on something that annoyed me with other emulators: Every CHIP-8 game uses different keymapping, so it is always a pain to find the right keys which is especially annoying when using a console or handheld with fixed buttons. The MegaChip emulator does a CRC-check on the rom and adjusts the keymapping accordingly, so you have a more universal control scheme for each game. Since i find it important to also support the original hardware (Cosmac VIP, Telmac 1800, ETI-660, etc. ), you can switch between SuperChip emulation and the somewhat slower original CHIP-8 emulation on the fly using F11.